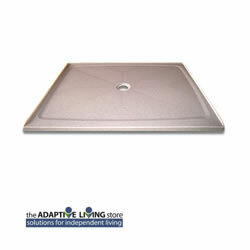 Add-A-Ramp turns a Walk-In Low Profile Base into a roll in wheelchair accessible shower. Add-A-Ramp can remain removable or attached permanently. Left, Right or Center Drain.